"Aquatica Plus UK ships 145L Heavy Duty Preformed Instant Garden Pond from Amazon.co.uk. Amazon.co.uk has fast shipping in the UK and often free shipping on pond and aquarium supplies. Add to your basket now while supplies last to avoid delays." No need for liners, Simply dig a hole! This Start 145L is ideally suited as a beginners pond. 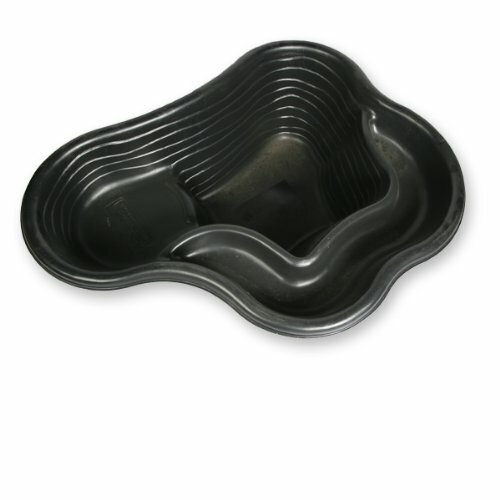 Its strong durable form enables you to simply dig a hole, fit the pond in and fill with water, providing a quick and neat finish to your garden. The pond holds 150 litres of water and also contains a built in plant shelf.